First place in the group secured, unbeaten on the third day of play, Wednesday 5th April, in the Junior Girls’ Singles event at the 2017 Tunisia Junior and Cadet Open in Rades, the Romanian duo of Adina Diaconu and Andreea Dragoman alongside Belgium’s Lisa Lung duly reserved main draw places. Meanwhile, with one match in their respective first phase contests to be completed, it was a trouble free day for India’s Selena Selvakumar, the fifth highest rated on duty and Algeria’s Hiba Feredj, the next in the order of merit. However, for two further notable names there were defeats; outcomes that culminated in mixed fortunes for the nation. Manel Baklouti caused an upset, Abir Haj Salah, experienced a somewhat surprise defeat in a competition that witnessed seven groups in the initial phase. Manel Baklouti accounted for Egypt’s Jana Wagih in her opening contest (8-11, 11-5, 11-8, 11-8), before overcoming Italy’s Jamila Laurenti, the no.4 seed (6-11, 11-5, 11-2, 9-11, 11-7). Earlier Jamila Laurenti had beaten Algeria’s Tikouk Maroua (11-3, 11-3, 11-4). Conversely for Tunisia, Abir Haj Salah, the no.7 seed, experienced defeat at the hands of Kushi Vishwanath, like Selena Selvakumar from India (11-8, 11-8, 11-8), before accounting for Egypt’s Farida Badawy (11-8, 15-13, 11-13, 11-9). Now, in the concluding matches in the group, Manel Baklouti faces Tikouk Maroua, Jamila Laurenti opposes Jana Wagih; for Abir Haj Salah, the future is out of her hands, Farida Badawy and Kushi Vishwanath meet in the one remaining contest in the group. 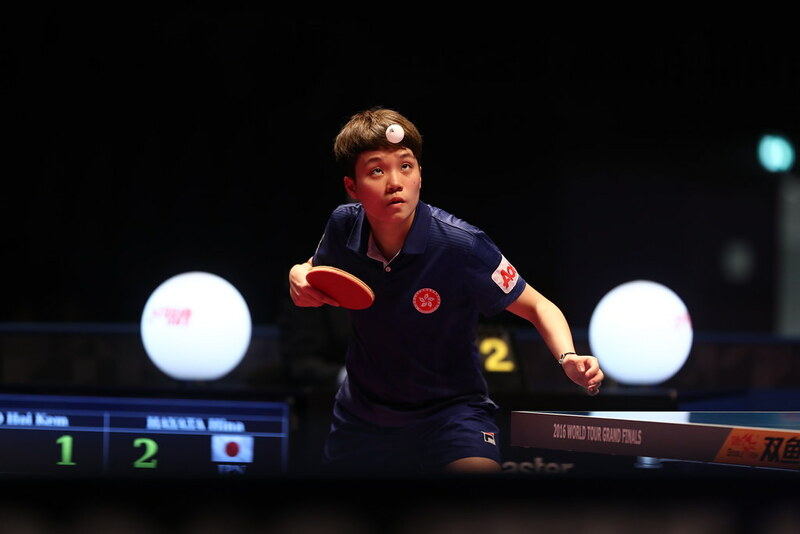 Success against expectations for Manel Baklouti in the Junior Girls’ Singles competition; in the counterpart Cadet Girls’ Singles event, she was the one notable name to experience an unexpected reverse. The no.5 seed, she was beaten in her opening contest by Italy’s Evelyn Vivarelli (9-11, 11-4, 11-8, 12-10), before recovering to overcome Egypt’s Hana Goda (11-6, 8-11, 11-4, 11-8). A four games win for Manel Baklouti on her second visit to the table; it was the same for Evelyn Vivarelli; she overcame Tunisia’s Farah Mahjoub (11-6, 14-12, 9-11, 11-9). Evelyn Vivarelli meets Hana Goda; Manel Baklouti faces Farah Mahjoub to determine the final order. In both the Junior Girls’ Singles and Cadet Girls’ Singles events, players finishing in first and second places in each group advance to the main draw.